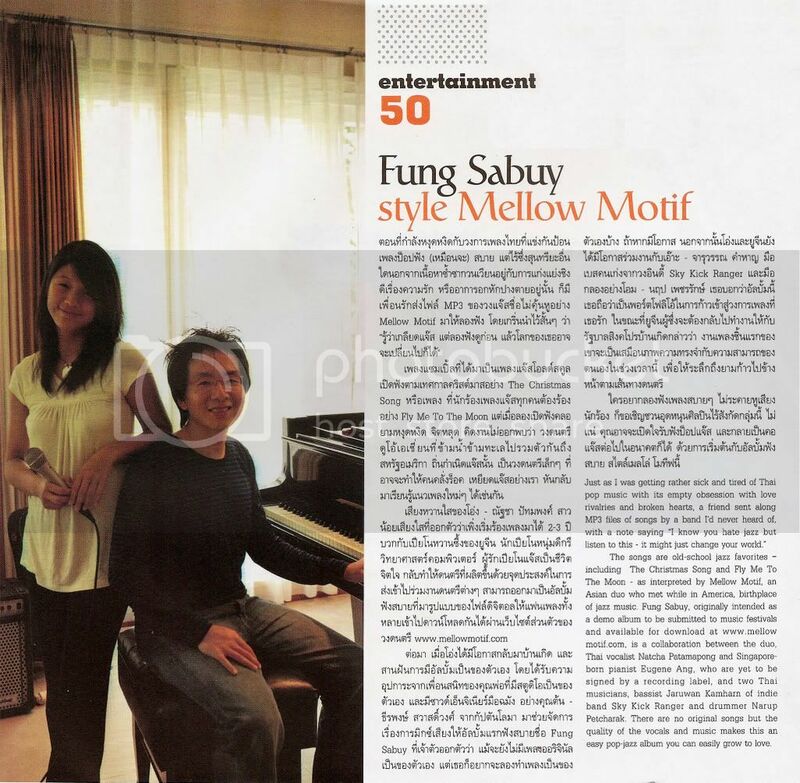 Mellow Motif would like to thank the following publications and networks for featuring the band — CNN Travel Asia ("Bangkok's Top 20 People To Watch"), ThaiPBS Channel, Channel 9 MCOT, Channel [V] Thailand, MTV Thailand, True Music, Pop Channel, The Walker's (Japan), CW Wordplay Magazine, Bangkok Post Newspaper, Daily News, Siamrath, Bangkok Biz News, Hi! 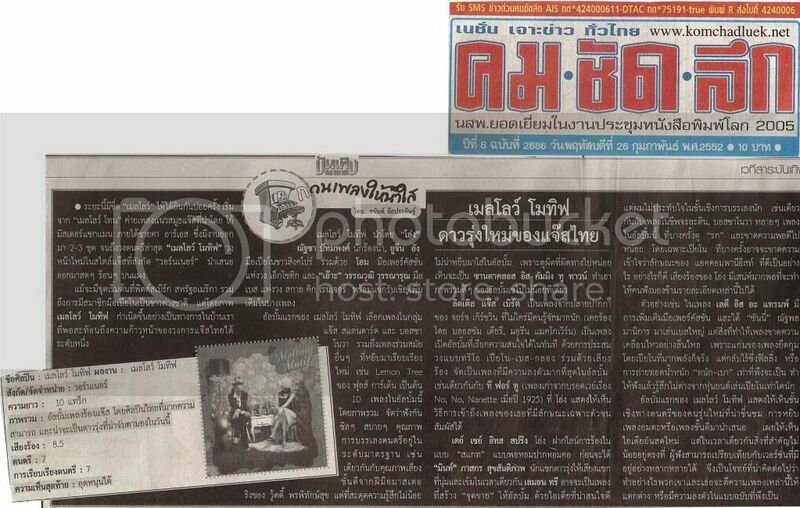 Magazine, CLEO Magazine Band of the month (June 2009), Poo-Ying (Women) Magazine, Secret Magazine, Music Express Magazine, TOUCH Magazine, Hamburger Magazine, Post Today's Newspaper, ELLE Magazine, IMAGE Magazine, Praew Magazine, BK Magazine, Seventeen Magazine, Student Weekly Magazine, LifestyleAsia.com, Viva Bangkok, Matichon Newspaper, Matichon Weekly, Khom Chud Luek Newspaper, GM2000 Magazine, AllAboutJazz.com, VirtualMalaysia.com, Wartajazz.com, You2Play.com, and more. "...An undeniably talented singer, her delivery brimmed with confidence, and she transmitted her bubbly personality into the music." Mellow Motif is featured on CNNgo.com as one of the "Top-20 People to Watch"